This time last week I was sitting at my computer in a right old blue funk. Thankfully, since then, my week has got a lot better - apart from one tiny blip of the caterpillar kind. So why the frustration? My local borough has an annual gardening competition. After much pondering and loathing of form filling, I decided to enter with about 8 hours to go before the deadline. The prize (should I be so lucky) is garden centre vouchers and I'd like more fruit trees. I like to do things thoughtfully so this online process (answers and photos) took a chunk out of my day. And then at 7.14 pm (deadline midnight) and just before I'd pressed SUBMIT, the form closed down taking my application with it! Too tired to start again that night, I gave a big sigh and started over on the Saturday morning. Just in case. Following that dismal Friday night, Saturday was a fresh slate. My son was working at a festival over the weekend with late shifts; in his absence, I was able to eat delicious vegetarian meals (he's a carnivore) and just relax in the evenings. Normally there's a steady stream of his friends coming and going. While it's always lovely to see them, bobbing up and down answering the doorbell is not conducive to calm. On Monday, I spoke to the organisers of the gardening competition and was told that my entry/ies would be accepted. (The first one survived the shut down with a bit of searching.) Apparently I wasn't the only one gnashing my teeth on Friday evening. Some discussion ensued as to which category my entry should go in - environmental, individual or community - and whether each collage of photos, above, counted as one of my three images or was, in fact, bucking the system. The latter, I think. Still, no points for not trying. Serendipity continued to flow on Tuesday when an elegant and totally fabulous bouquet arrived. 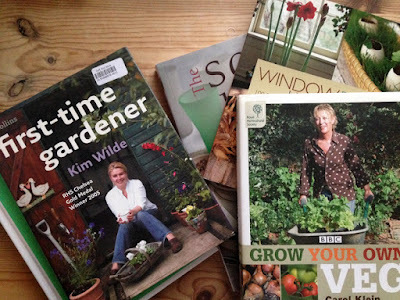 This was my prize as a runner up in a Pinterest competition to win tickets to RHS Hyde Hall flower show. At times like that, I'm pleased to not be first. Anticipating something from Interflora, I toyed with the idea of sending the bouquet elsewhere. (I don't like the idea of hothouse flowers imported from another continent.) So glad I didn't - this package was a visual treat from the moment it arrived. 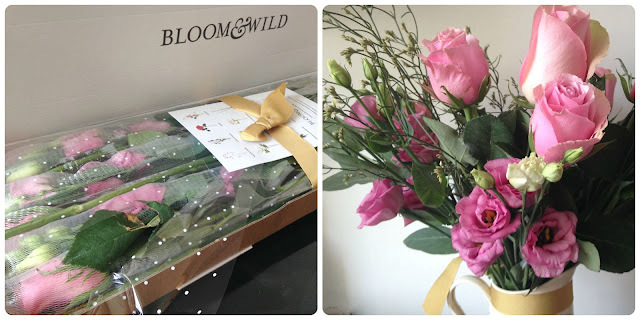 A slim elegant box opened to reveal carefully picked and packed roses, lisianthus (new to me), eucalyptus and limonium with a card giving tips on arranging and care of the flowers. + a relevant quote hidden under the flowers. Gorgeous. Wednesday was City Farm day. I'd taken a couple of small children to see the brand new piglets; they (the pigs, not the children) were huddled together asleep in a far dark corner so we were thwarted. Instead, we were invited into a new visitor pen to stroke and feed some goats which was much more interactive and fun with both children coming away glowing from the experience. 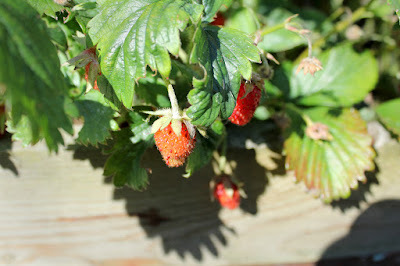 And the day got better: in the afternoon, as I set about starting to prune the plum trees, I made an amazing discovery. 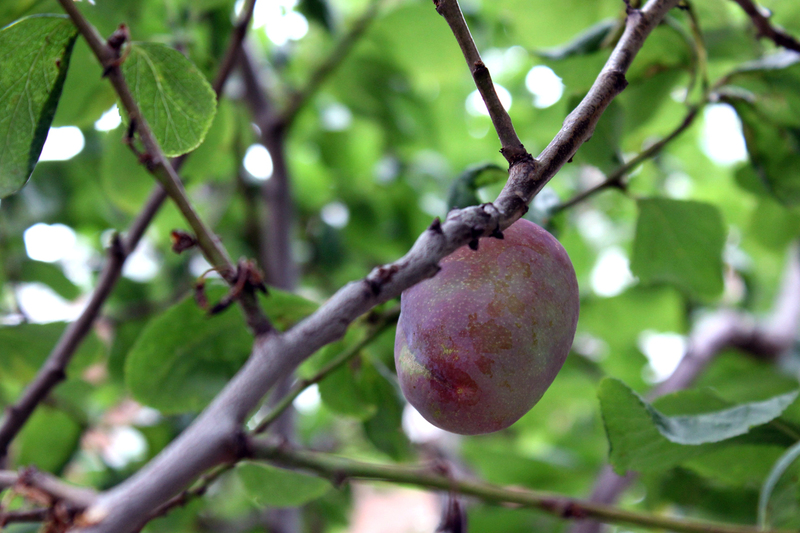 High up in the centre of the tree, I have a plum. Yes, just the one, a big fat beast of a fruit. I searched the trees for any more but no. Just one. Still, it would be churlish to chop the tree down now, wouldn't it? And so to Friday. With the promised heavy rain in my thoughts, I started in the garden very early and managed three hours of planting, picking and tidying before the rains started properly. The water butts are all but empty so I absolutely relished the continuous steady downpour of water, soaking into the ground. That should keep the plants happy for a while. I believe we're in for another dose on Sunday which to my mind will be excellent. + to bring the week full circle, I was contacted late afternoon on Friday by the organisers of the aforementioned gardening competition with the news that my garden has been shortlisted! I'll be receiving a judging visit next Friday which is a bit scary - although lovely Chris Collins, the ex-Blue Peter gardener, will be with the Mayor and other judges. I think I'll still be nervous though. While I'm on the subject of bees (last post), I've picked up lots of tweeting in the past few days about it being Pollinator Awareness Week. I would probably have missed this if not for the Twitterati so am overdue for a bit of an awareness boost. 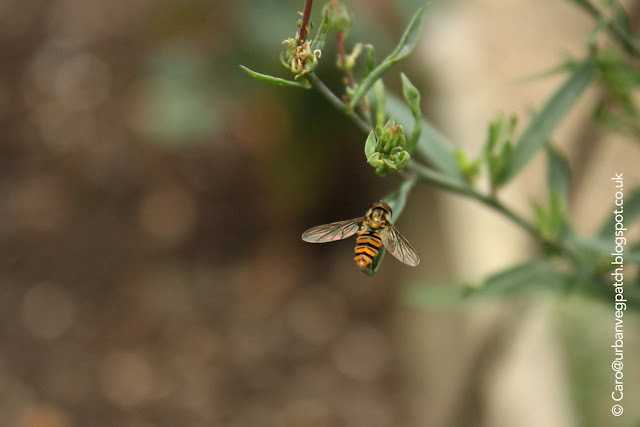 While we all know that our summer crops would be dismal without help from pollinators and that it's essential in spring to tempt bees towards the fleeting blossom on our fruit trees, what can we do to attract bees into our gardens all year round and, more importantly, keep them there? 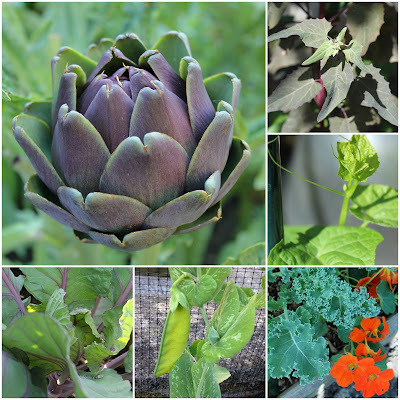 Veg and allotment gardeners provide rich summer feeding grounds with the flowers of annuals such as broad beans, peas, climbing beans, tomatoes, potatoes, strawberries, redcurrants, all the berry bushes, asparagus, artichokes, fruit trees and herb flowers. Comfrey is a spectacular bee magnet and worth growing to have a very useful plant fertiliser to hand. And if, like me, you find your autumn sown carrots bolting into flower - leave them! Carrots belong in the Apiaceae plant family, so named for their affinity with bees (Latin name - apis). 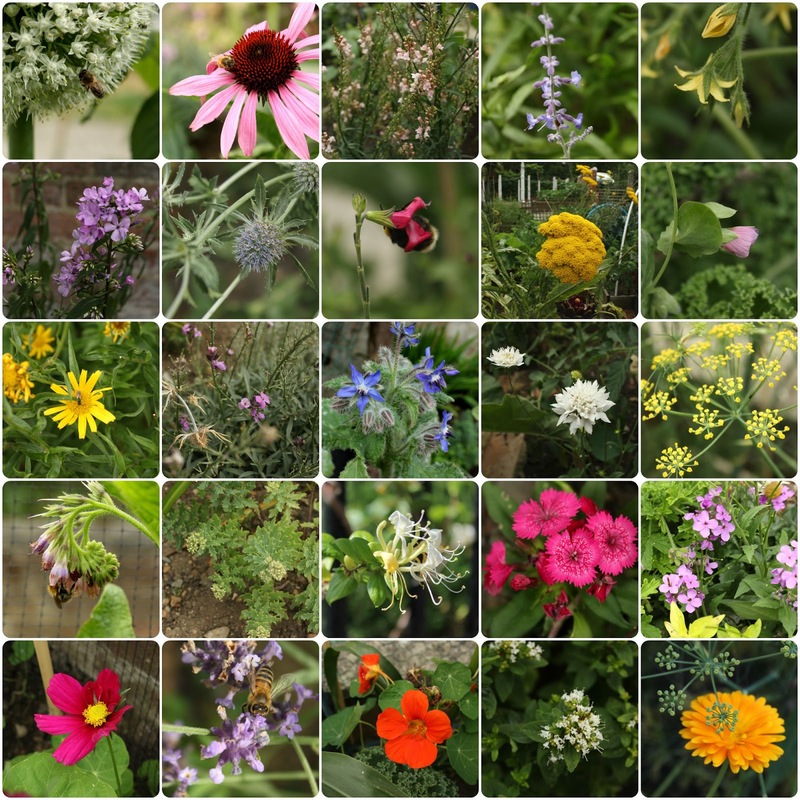 I found a very good page on the RHS website with downloadable leaflets of what can be planted to make sure there's plenty of insect food in your garden from wintery-spring right through to late autumn. Even if you only squeeze a few of these plants into your garden, it will be a case of, as they say, "every little helps". I won't repeat what the RHS writes - the link is here. How many can you guess? Answers at post end. The RHS lists have made me think about moving some of my plants around - replacing some of the poorly fruiting strawberries with Sweet Woodruff and planting more snowdrops, tulips, hellebores and forget-me-nots for springtime and Erigeron (fleabane) for summer. It's fairly blowy day here so it was interesting trying to get photos - speed rather than aperture being of the essence. It didn't take too long (I stopped to gather a few bits for lunch) but nearly every plant I stopped at was attracting bees. My halo is shining. A garden friend, if not exactly a pollinator. Couldn't resist. 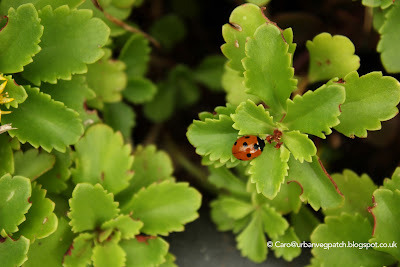 With that picture grid above, I'm also linking to Carol's Garden Bloggers' Bloom Day for July. Shall we just pretend for a moment that the grey skies of the past week haven't happened? It's not been very summery over the last week although, once outdoors, I've been surprised how humid it feels despite grey skies and drizzling rain. But enough of all that. 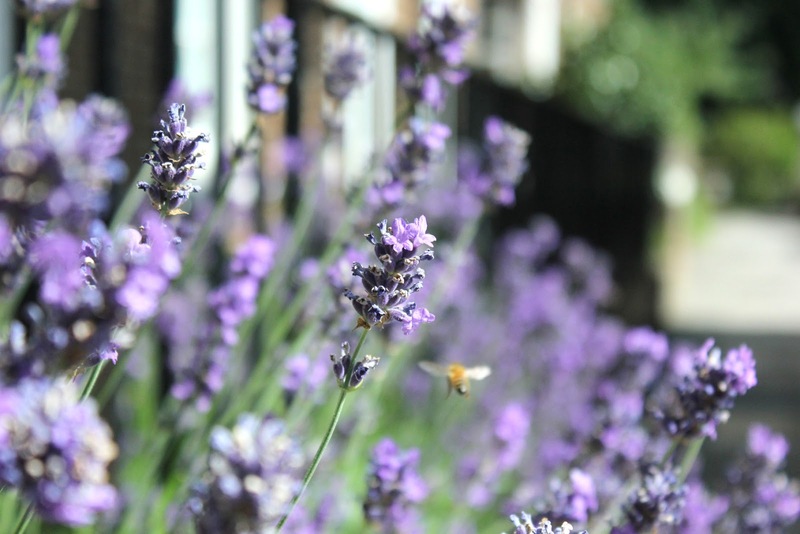 Let's pretend that it's a glorious warm and mellow summer's day - a perfect day for relaxing in the garden with some iced lemonade and homemade biscuits, listening to the bees busily collecting nectar from the nearby lavender bushes. Hmmm. 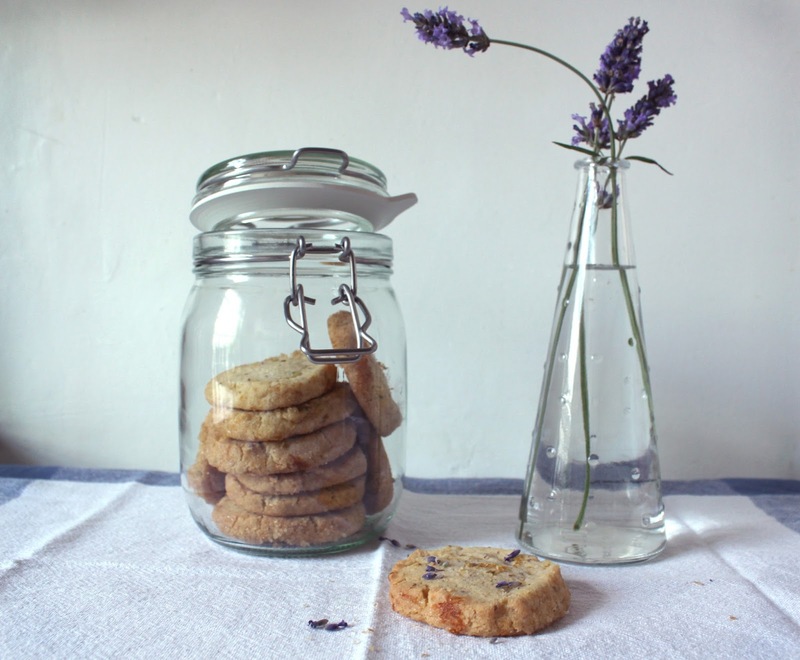 Biscuits + Lavender. Now there's a thought. 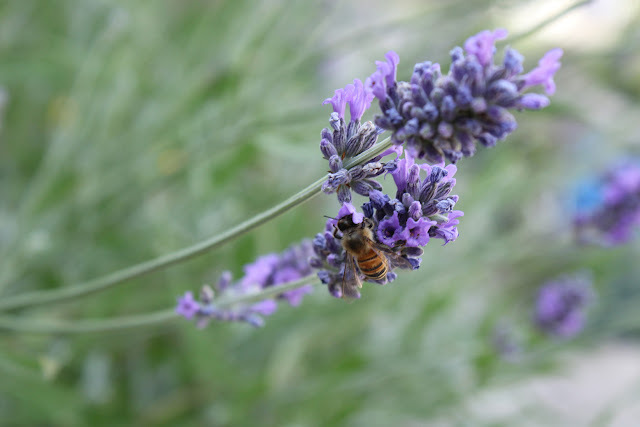 Lavender is definitely the top summer plant in my garden for attracting bees, the bushes are in constant motion with bees landing and taking off again from the flowers. But they're not just a pretty face - there's a lot more that lavender is good for. The dried leaves and flowers can be mixed with rice to make aromatic microwave-able handwarmers; fabric pouches filled with lavender flowers can scent clothes or be tucked under a pillow for good night's sleep; the oil is soothing, calming and healing; lavender spikes make lovely cut flowers (cut when half to one-third of the flowers are open and cut above a pair of leaves) and, of course, the flowers are edible. I came across this recipe while skimming through a Mary Berry book due for return to the library: Lavender biscuits, how intriguing. And there's something so dependable about Mary Berry that I instinctively trust her recipes. This recipe calls for 2 tablespoons of fresh lavender flowers and/or leaves. Ever one to expand my repertoire of what to do with edible flowers, I decided to make a batch for the blog. 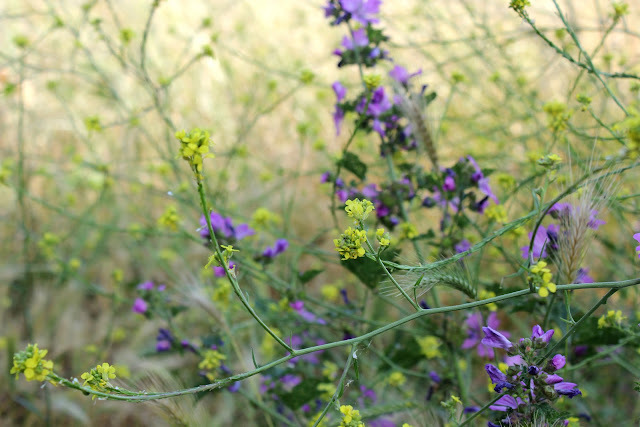 First task was to gather flowers and photos. This part of making the biccies took a while; I'm easily distracted from the task in hand when watching bees and hoverflies and came back with many photos, mostly of blurred bees. Back indoors, I'd left the butter to soften and already weighed out the other ingredients so it was just a case of stripping the stems, finely chopping the flowers and putting it all together which took hardly any time at all. Don't waste the stems - when used as skewers for grilling meats they'll add subtle flavour and can also be used to gently fragrance the dying embers of the barbecue or winter fire. The biscuits are baked on two trays but, instead, I used one tray twice. Just as well, as I thought the first batch (lavender only) tasted a bit 'soapy'. I added a grating of lemon zest to the second batch which made a much better and very tasty biscuit. Of course, that could just be me. I recommend you try them. Even without lavender, the biscuits are a lovely open 'shortbread' texture and keep well in an airtight jar. Oh, and don't skimp on the Demerara sugar - it gives a lovely sweet crunch to the biscuit. Recipe here on my Google drive - download for printing, if you wish. My inability to throw plants away is getting the better of me. Just this morning I checked the colander that I keep my onions/garlic/shallots in on the kitchen counter to see if anything needed topping up and found an old piece of ginger that had sprouted. 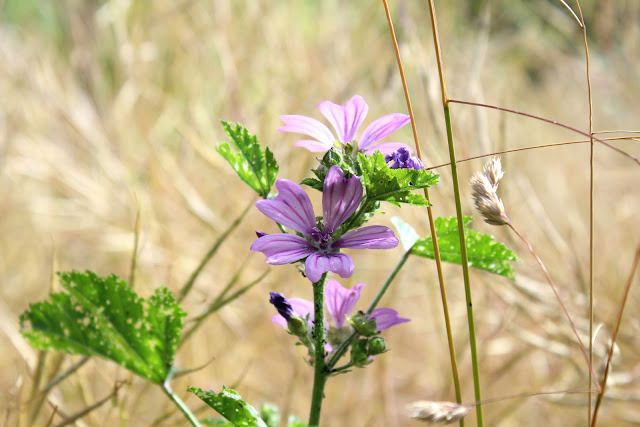 I found that quite thrilling, that a plant will just appear out of nowhere. In looking up how to plant and grow it, I've found that it's quite a common occurrence to look for pieces of ginger with buds on in the supermarket to start off a home-grown edible ginger plant. Obviously, I have to try this. Fate has forced my hand. 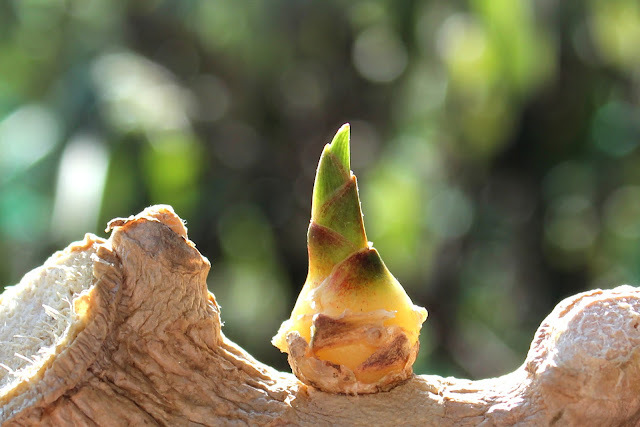 I have to plant it into a 6 inch pot, covering the ginger piece (rhizome) but leaving the bud just above the surface. The soil should be moisture retentive but free draining. This is especially important for container grown plants where you don't want the soil to either dry out or become waterlogged. I'm using some of my fabulous Wool Compost from Dalefoot (discovered at Chelsea!) as the rhizome likes to be kept moist; the compost is made of bracken and sheep's wool so is moisture retentive, nitrogen rich and peat free - and the best I've found in a long time. After planting, water the soil and leave in a warm, non-windy spot out of direct sunlight. In this warm summer weather, I can leave it outside but bring the pot into a warmer spot, under cover, when the temperature drops below 50F. 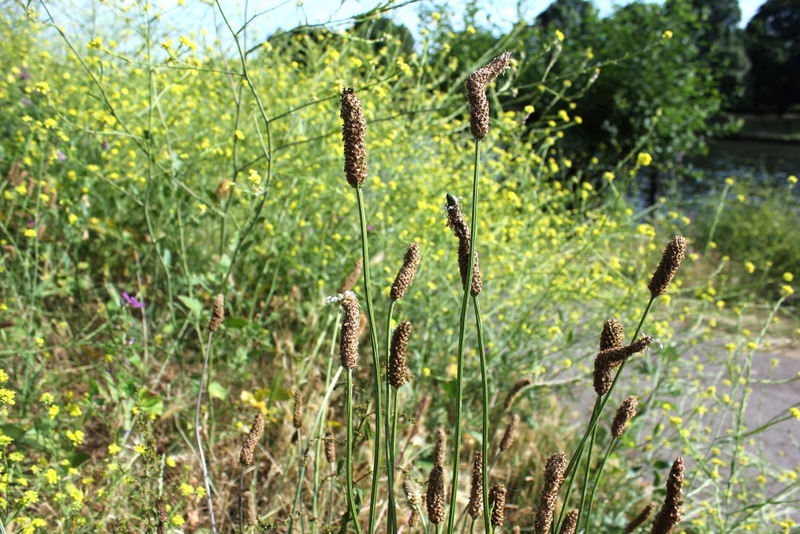 By next spring, I should have a decent sized plant (up to a metre tall, if reports are to be believed) but it's the root (rhizome) that is edible and can be dug up and used as usual, using any new buds on the rhizome to start a new plant. 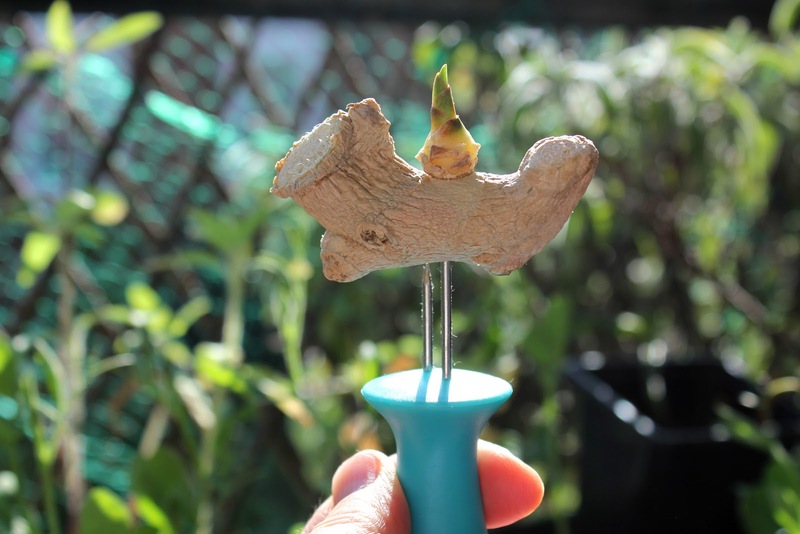 Fresh ginger and a lovely plant in one! Has anyone else tried this? If so, I'd love to hear how you got on. Spiked on a corn skewer, it's true size is about 2cm. Until last week, I'd only been to Hampton Court as a child on a family outing and, from that, I remember only the kitchens and the plaster mouldings. Odd. History is often lost on the very young. Ten days ago, I was able to pop along to the RHS Flower Show preview day and had a wonderful, if hot, day - more of which, later. But the best bit of the day, after all those thought provoking beautiful gardens, was this: a 50 yard stretch of natural beauty along the riverbank path on the way back to the station. I can't help thinking that all those commuters rushing past are missing a trick. 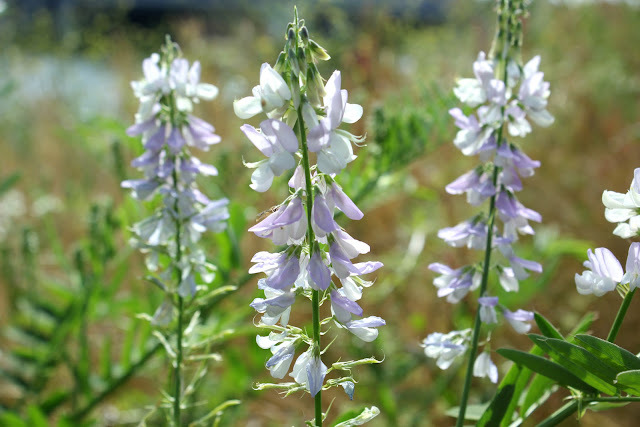 Goat's Rue (Galega officinalis). Now there's a plant that I'd deliberately grow in the garden. 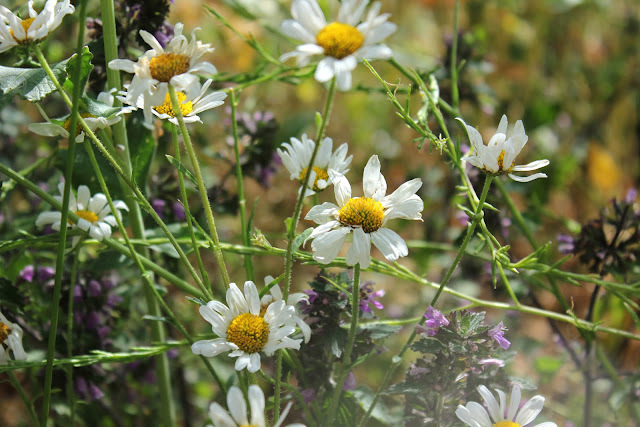 Ox-eye daisies and something purple, possibly Wild Clary, Selfheal or Bugloss - anyone care to enlighten me? 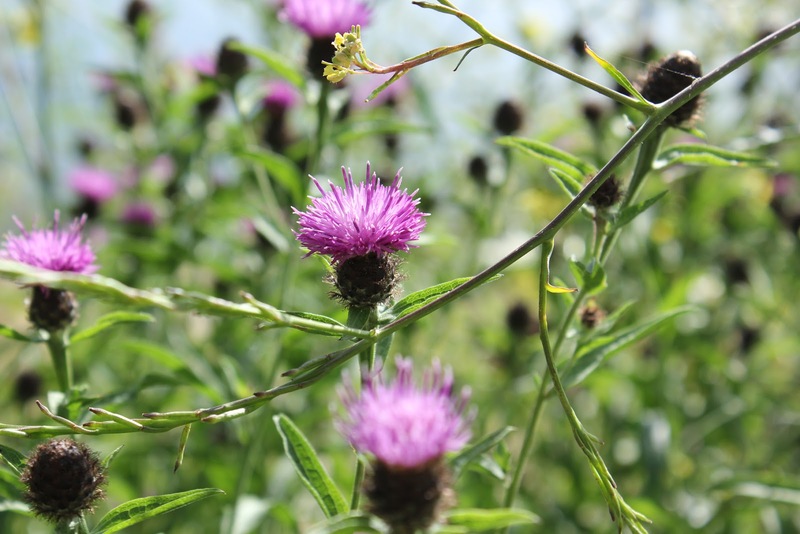 Common Knapweed (Centaurea nigra) - great for bees and adding a nice splash of colour to the path. 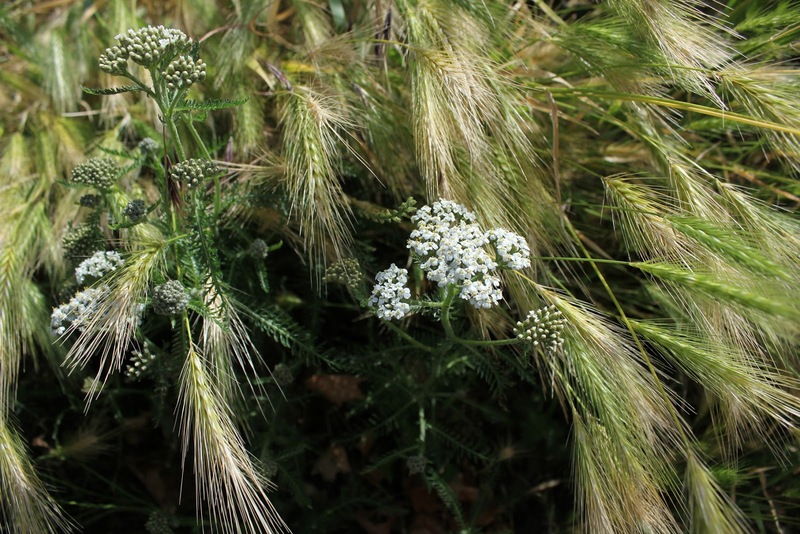 And this white flower - I'm thinking Yarrow but maybe not as it was low growing? The yellow flowers look like rocket or brassica flowers. Any clues? The rurbanite* in my soul thought this was gorgeous and wanted to share. Being a bit of a North Londoner, it's not often that I come across such breathtaking beauty, perfectly lit by the early evening sun. Whether the planting along the path is by nature or nurture, I can't tell. Whatever. Well done, that borough council if they had a hand in this - even by not cutting it back. It fair made my day, and probably that of quite a few bees and butterflies. I wish I'd photographed the leaves of these plants as that might make identification a lot easier - still, there's always a return visit. *Rurbanite: lives in the city, heart in the country. As coined by Alex Mitchell in her book 'The Rurbanite'. 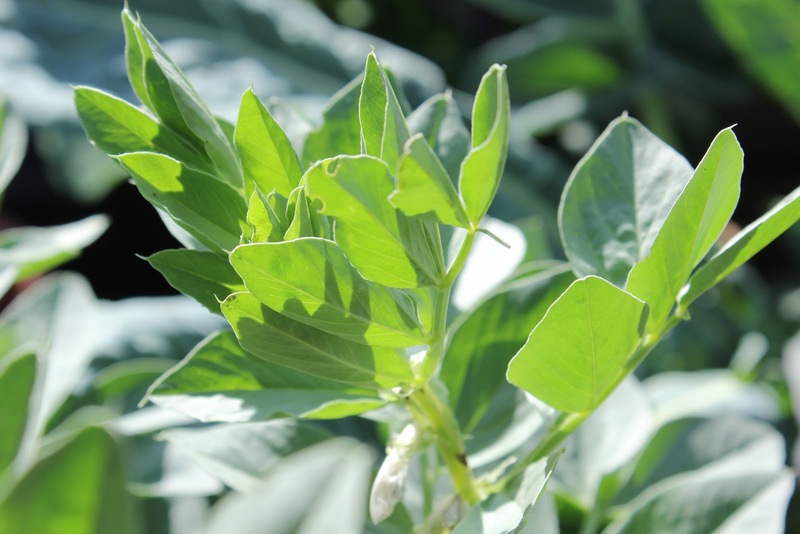 Now there's a beautiful sight - bug free broad bean tops! 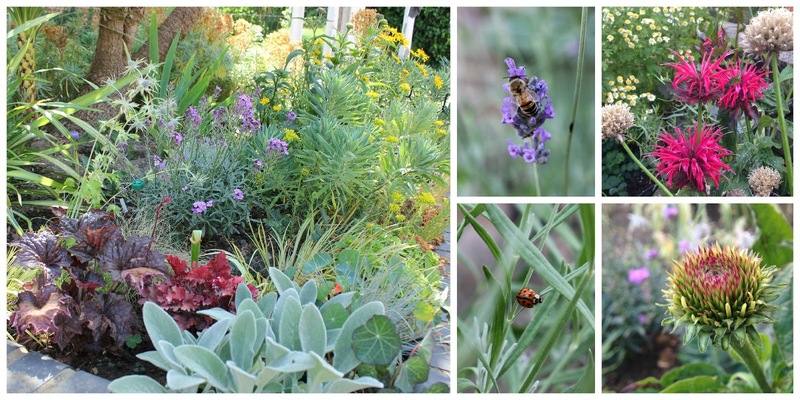 You've got to love June for the lushness of the garden! 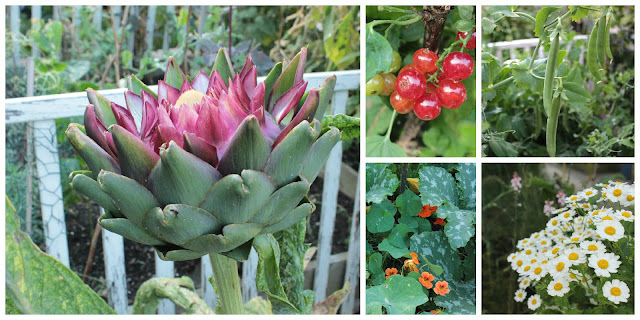 I'm finding lots to sigh with pleasure over, despite June having been a completely manic month for me: going to shows (GrowLondon and Hampton Court), normal working life, son home from uni, masses of emergency watering needed (not of the boy. Although … ) and, at the beginning of the month, I was away in Hampshire for a couple of weeks because my elderly Mum was hospitalised after a fall, now safely back home with my dad. With the warm/hot weather, it's been even more of a joy to while away the still-long evenings in the cool of the garden. There's a lot to catch up on but I've gradually been moving plants off my balcony and into the ground. Timing has been crucial for this; when I took the beans and achocha down to transplant, it was too windy. When I took the tomatoes down, the soil was like dust. When I planted out flowers, there was just enough light rain to bring the slugs out. The usual run of the mill stuff we gardeners face. The strawberries have not been good. Oh, there's been plenty of fruit but it's all been small and disappointing. I don't think there's anything wrong with the varieties I'm growing, it's the lack of water. Until I can properly sort that out, I'm thinking of giving up on strawberries. Raspberries, on the other hand, never fail to please! 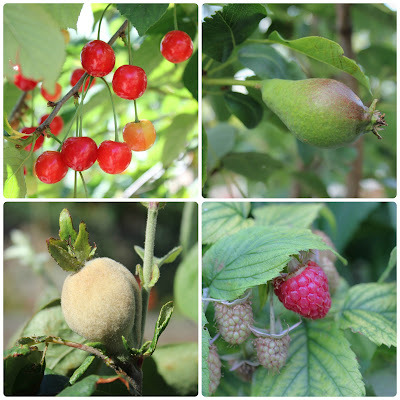 My autumn raspberries have been fruiting for the past few weeks - they have a tendency to start in June and fruit until November. It starts with just a little bowlful now and again to which I can now add blueberries and honeyberries … and cherries if I can find a way of making sour cherries more palatable. I've been reading that sour cherries are best for cooking as the levels of sweetness can be adjusted. Some research and practise is needed, obviously, after last year's major fail of a cherry crumble. And, to end on a high note - I have seen pears! Admittedly only two or three but, hey, that's a start. And enough to earn the trees a reprieve. If only there was also some plums … I'm going to a summer fruit pruning workshop at Wisley this coming weekend and you know I'll be reporting back with my findings!